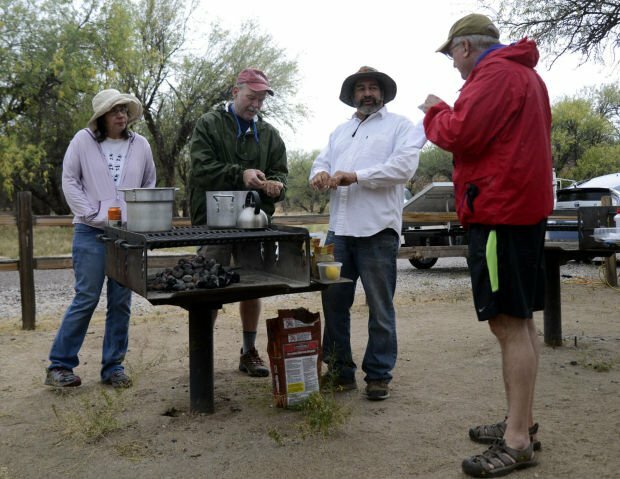 ﻿Margo Geddis, left, Michael Geddis, Bruce Joseph and Philip Berghausen prepare green beans to be cooked on the campsite grill at Saturday’s 32nd annual Solar Potluck at Catalina State Park, 11570 N. Oracle Road. 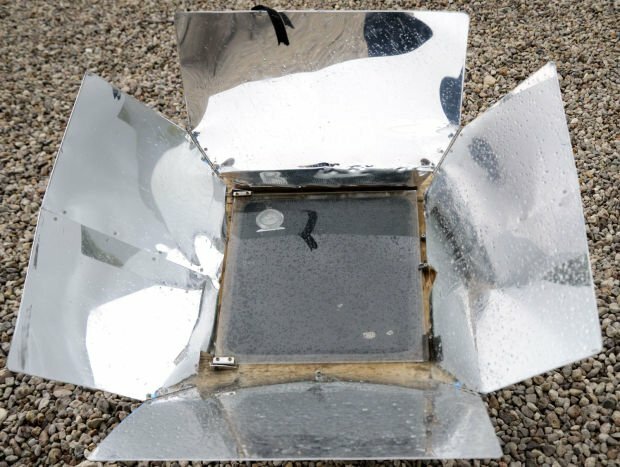 Cloud cover prevented preparing food in solar ovens at Saturday’s annual solar potluck. George Hubbard and Sylvie Stevenson prepared food on a grill because poor weather meant cooking without solar power. Flames flare as Jen McDonald pours rice into a pot. With solar equipment down due to cloud cover, the group lit grills.